Please check out my YouTube review of the new EatSmart Digital Kitchen Scale! Its sleek and slim design is also lightweight and portable, and the large digital readout is very easy to see. The ravages of competition prep and impending menopause caused me to hold water in my midsection and hamstrings for over a year, and I became despondent and desperate as a result. Nothing seemed to work. Then I took an ALCAT food intolerance test in January of 2015 and discovered that I had an intolerance to a bunch of different foods, so I eliminated the majority of them. However, I stubbornly kept whey protein in, and chose to ignore the fact that I had a moderate intolerance to it. I would have been fine if I had just consumed whey protein a couple of times per week, but I was ingesting 60-70 grams of whey protein every single day. What kept me in that vicious cycle was an incredibly busy schedule which made it difficult for me to get all of my protein from whole foods. In late September, upon Ian Lauer’s strong suggestion, I decided to finally eliminate whey protein powder from my diet. I added more animal protein from whole food sources (mostly from MAW Nutrition), and replaced about 25 grams of whey powder with a serving of Muscle Egg. Two weeks later, the water retention issues I had been struggling with completely vanished. I could finally see the lateral borders of my rectus abdominis clearly, and no longer created a fluid ripple when I tapped my belly. I’m not saying I am ripped as a result of switching to egg protein, but boy, did it make a difference in my level of leanness! This won’t work for everyone though. If you have an issue with egg protein, the opposite effect may occur. In my case, I discovered that my body processes egg protein quite well. I also became a huge fan of Muscle Egg and now have it in my house at all times. I generally limit myself to one serving of Muscle Egg per day, but I also love the occasional nighttime Muscle Egg crepe with Walden Farms Chocolate Syrup on top for a sweet treat. One last thing about whey protein: I still consume it on occasion. However, I only eat it in B-Up Bars and P28 Products, and I don’t have any issue with these food items. I have, however, completely avoided whey protein powder for the time being, and hope that my body resets as a result. It is human nature to allow ourselves little nibbles of so-called “forbidden” foods from time to time. The danger arises when such nibbles become so frequent that a pattern of rationalization over the dietary transgression begins to set in. Bear in mind that even a small indulgence on a regular basis will most likely end up on your waistline. The more control you have over your daily food intake, the greater the chance that you will reach or maintain your fitness and weight loss goals. Those of you who do not compete can follow a clean diet 90% with the occasional treat and suffer minimal consequences. However, for those of you who are planning on hitting the stage, you need to take your meal plans seriously and follow them as much as possible. Every time you take a small nibble, you risk derailing your contest prep efforts, sometimes enough to push you considerably behind. If you know you are 3 weeks out from a contest, why mess with anything other than your scheduled cheat meal? The best thing to do is tough it out and stick with the program. Many competitors ask me about condiments and sauces, and whether it is all right to use them on their meals. What I do not like about many condiments is that they contain high fructose corn syrup. Generally, I have competitors (I also advise the same for regular folks) avoid anything containing sugar at all costs. Another issue with condiments and sauces is that they add more calories to your meal. Add such things to a couple of meals a day, and this all adds up. I have also had competitors ask me which alcoholic beverages they can indulge in on the weekends. Of course my response is along the lines of “none”, but if one insists on having ONE drink over the weekend, vodka based drinks are the cleanest option. You may be wondering if I indulge in libations from time to time, and the answer is yes. I have a particular fondness for wine and sake. What I do is confine my consumption to one weekend evening per week with my cheat meal. Everything in moderation is truly the key. Are you looking for a trainer to help you get into the best shape of your life? Please check out the NEW Competition Strong Trainer Directory, which has trainers in various locations across the U.S., Bermuda and Barbados. I am honored to be listed as one of the trainers in this directory, and am excited to watch this directory grow as more trainers and coaches are added. Please click on this link to see my bio on this great site, and be sure to check out the other fantastic trainers listed too! No Wind In The Sails? 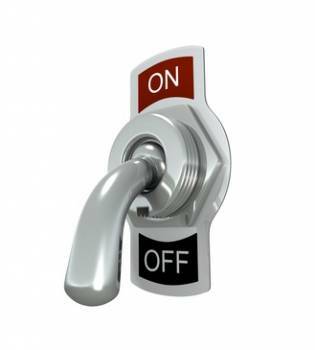 Other causes of erectile dysfunction include idiopathic low testosterone levels, alcohol abuse, obesity, smoking, prostate issues, high blood pressure, diabetes, and high cholesterol. Such medical issues are exacerbated by the use of anabolic substances, especially when cycled over an extended period of time. If a man is experiencing the symptoms of erectile dysfunction, a full history and physical should be performed along with lab work to determine the probable cause of the dysfunction. It is also critical for the sufferer to disclose the use of any anabolic agents or over the counter testosterone boosters, since any of those substances can interfere with normal sexual function. It is important to bear in mind that when exogenous (outside of the body) testosterone is used, the body’s own production of endogenous testosterone ceases. This might be acceptable for the man who is suffering from clinically low serum testosterone, since he is truly unable to manufacture the amount of testosterone necessary for normal male function, but there are men out there with normal testosterone levels who foolishly decide to supplement with exogenous testosterone in an effort to glean the energy and mass boosting benefits which it promises. What often happens is that libido and physiological sexual response take a nosedive. Other culprits in the loss of sexual function include anabolic substances, T3, diuretics, and estrogen blockers. Yes, that’s right…the substances which bodybuilders often turn to in order to optimize muscle growth will often rob them of the ability to perform sexually or even have any inkling of sexual desire. While some men might not care about such a loss of desire or function, others are devastated. A bodybuilder might have such a “nose to the grindstone” type of attitude with respect to training that he might not address the issue until a frustrated partner decides to bring the issue up and demands that he address it. So why is testosterone so important anyway? Testosterone is a vital component in the production of erections. Though this is overly simplified, low testosterone essentially often equates with poor erectile response. Another phenomenon which occurs is that low testosterone levels abolish the ability of the body to aromatize some of the testosterone to estrogen, which activates the brain’s sexual arousal centers and also causes a corresponding vasodilation in the male member. The great irony in all of this is that bodybuilders who look like they are the ideal representation of virility are often sexually debilitated as a result of androgen manipulation. When anabolic agents are taken over the long term, natural testosterone production plummets, the testes atrophy and erectile dysfunction often results. For bodybuilders and non-athletes alike, the key is to obtain bloodwork from a physician who is experienced in diagnosing endocrine disorders. For non-athletes, serum studies are often more straight forward and reveal either low testosterone, high serum glucose, high cholesterol, or abnormal thyroid function. In contrast, a serum panel for a bodybuilder who has been flirting with anabolics for an extended period of time may have a cold dose of reality after seeing the results. At any rate, it is well worth the effort to ferret out the root cause of erectile issues. Those of us who compete are well aware of the critical importance of following specific meal plans which are designed to optimize lean muscle mass and promote fat loss. However, these meal plans, especially during cutting phases, can be extremely restrictive. In our quest for attaining the ideal physique for whatever division we compete in, we may find ourselves in a spiral of obsessive nose-to-the-grindstone adherence to foods we may have grown to abhor, intertwined with strong temptation to deviate from the plan and indulge in forbidden foods, only to berate ourselves afterwards for doing so. After all, we are only human, and after weeks or months of eating clean, we may be so exasperated with daily servings of asparagus, tilapia, chicken breast, and sweet potatoes that our emotional food triggers may kick in and undermine our contest prep efforts. With orthorexia, there is an unhealthy fixation on clean foods and one’s moods are dictated by how rigidly a clean diet is maintained. So how is this different from what competitors do in the weeks leading up to a competition? 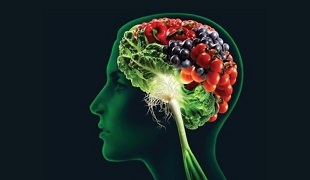 The mentally healthy approach is to regard food simply as fuel and to dismiss any emotional association with particular items. I have been witness to and a participant in the fantasizing of forbidden foods in a manner akin to lustful, sexual craving. I have heard competitors talk backstage at length about all the foods they were planning to indulge in immediately following their final visit onstage for the night. What I find interesting about such food fixations is how they are distinguishable from anorexic behavior. When I was 19, I battled anorexia, dropping to 85 pounds on a 5’5’’ at my lightest. With anorexics, they have a clear and complete aversion to calorie-rich foods and have successfully turned off any interest or cravings for such items, whereas with bulimics, orthorexics and many healthy competitors in contest prep mode, coveting indulgent foods is rather commonplace. Among all these groups, there is a propensity for obsessive and compulsive behaviors. One may argue that such obsessions and compulsions are a vital component of contest prep and that without such tendencies a competitor will lack the focus necessary to succeed. It seems apparent that competitors as a general rule, are dangerously close to that fine line which separates a healthy relationship with food from orthorexia. I remember quite well how rigid I was about the food I ate when I was anorexic and even kept a daily food journal in which I wrote down the calories and fat grams of every food substance ingested. I also recall how horrified and ashamed I was of myself when I would reluctantly consume a food I regarded as fattening. Over 20 years later, I have a healthy relationship with food and for the most part regard it as fuel. Yet I am immersed in the world of contest prep and like many other competitors will balk and grumble about the clean foods I must eat. There are times when the mere thought of eating another spear of asparagus seems like the most disgusting activity in the world. On the rare occasion that I find myself in a restaurant, I find it an alien concept to peruse a menu and actually be able to order whatever I want from any part of the menu. There are also times during which my metabolism is in hyperdrive and I could eat almost nonstop for the duration of the day. Here’s the thing: if I indulge in something that is not part of a contest prep meal plan, I don’t flog myself. Rather, I allow myself to enjoy the rare treat and move on. If you find yourself wallowing in extreme anxiety and prolonged guilt over ingesting a food item which is on the banned list, beware. This could signify the beginning of a food-related psychopathology.